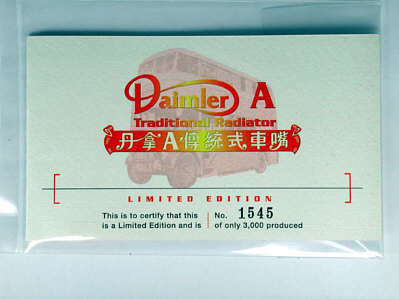 The model - whilst being the third Daimler 'A' to be released by Cars Workshop, it is the first to feature a traditional exposed radiator, and also the first diecast model to feature gates. 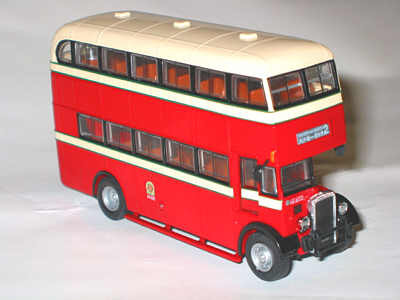 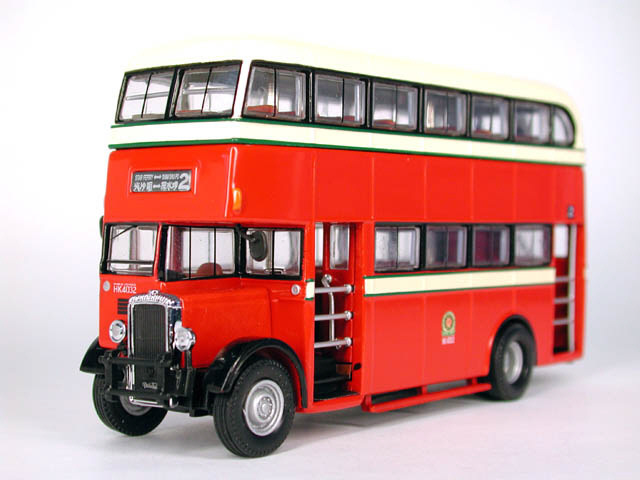 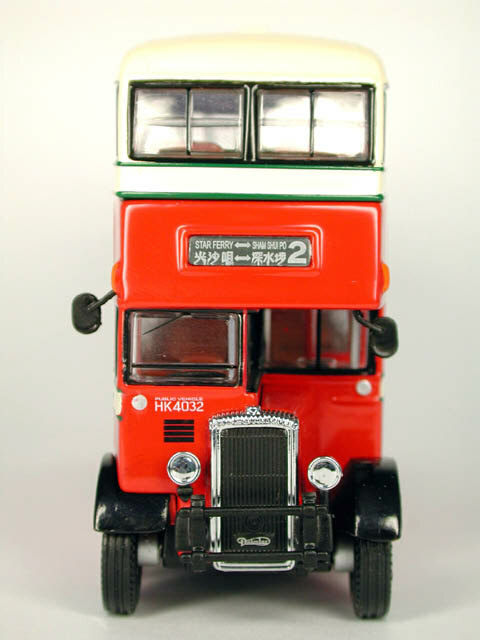 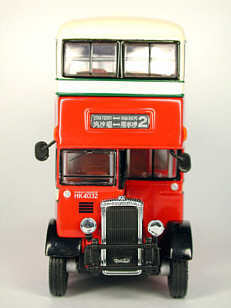 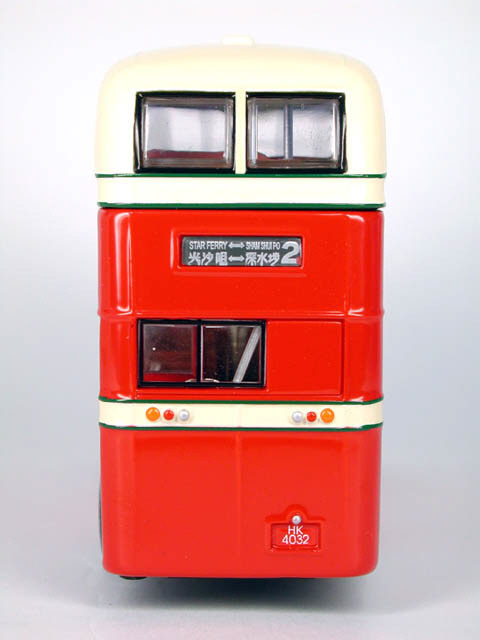 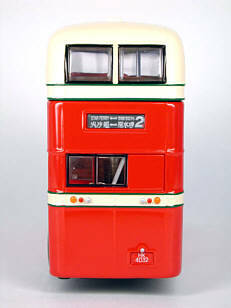 The bus - HK4032 was delivered new to KMB in June 1950, with only a rear platform entrance/exit. In 1955, a front entrance was installed, and sliding gates fitted. 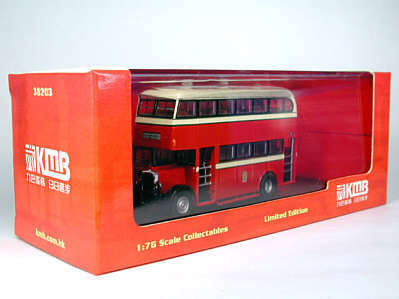 In 1964/5, the gates were relaced with doors, and in 1974, when KMB renumbered their fleet, HK4032 became D50. 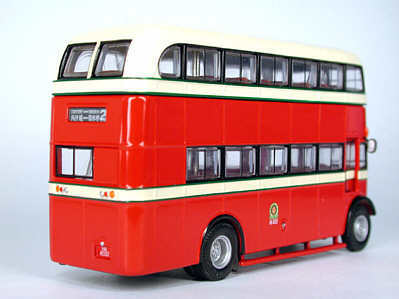 It was withdrawn in January 1976.